In a recent post I alluded to the interesting relationship between World’s Fairs/Expositions and economic downturns in American history. 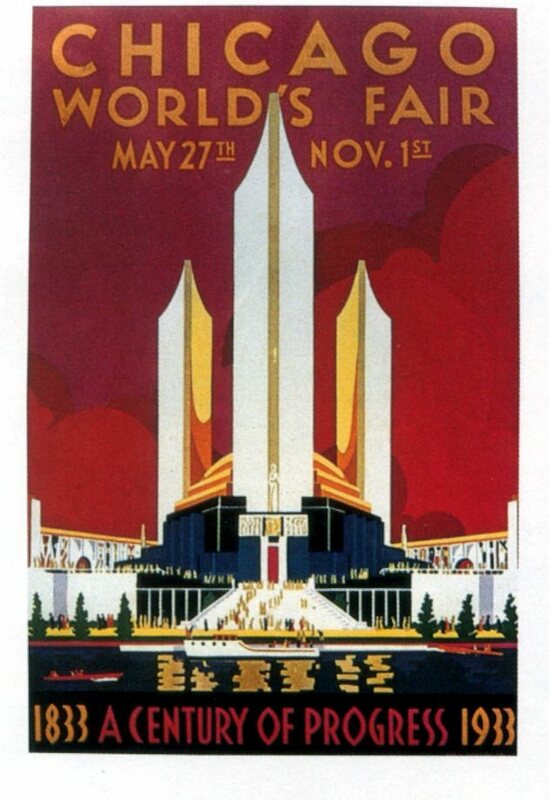 In that earlier post I suggested that perhaps the most peculiar thing about our present ongoing period of economic turmoil may be the absence of a World’s Fair. I thought I might provide a little support for that suggestion. The Panic of 1873 triggered what is sometimes called Long Depression which lasted until 1896, a period which also included the Panic of 1893. This same period witnessed the Centennial Exposition of 1876 in Philadelphia which was held three years into the period of depression and the Columbian Exposition of 1893 in Chicago which was held in the same year as the second Panic that punctuated the Long Depression. During the tail end of the recession of 1902-1904 the Louisiana Purchase Exposition of 1904 was held in New Orleans. The decade of the Great Depression was also the decade when two major fairs were held, the Century of Progress Exposition of 1933 in Chicago and the New York World’s Fair of 1939. Incidentally, during this famously severe period of economic hardship seven minor fairs were also held throughout the United States. More recently the period of recession that marked the early years of the 1980s gave us the Knoxville World’s Fair of 1982 and 1984 Louisiana World Exposition.